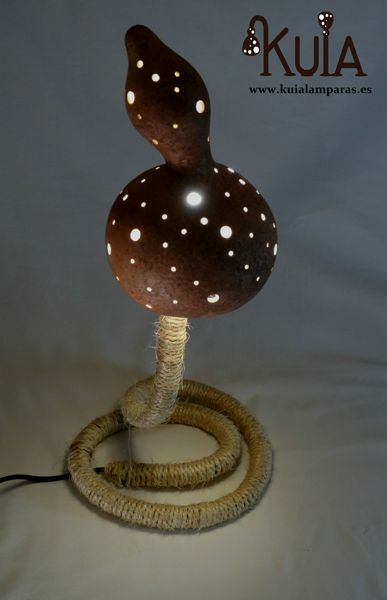 Unique rustic lamp made entirely with ecological and natural materials. 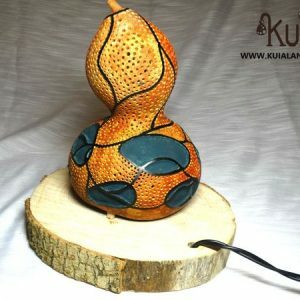 The base is composed of a flexible tube lined with hemp rope and the tulip is a hand carved gourd. 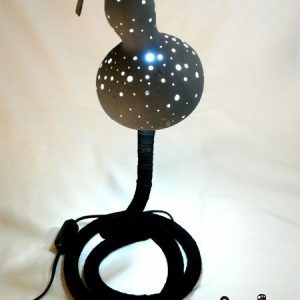 Designed for ambient and warm lighting, the gourd has been perforated by hand for optimum environmental illumination. 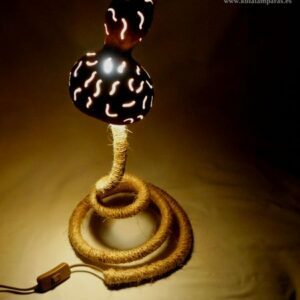 The base, flexible, can adopt different base diameters so that the lamp fits in any of the corners of the house. 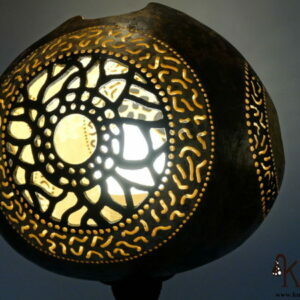 Use a led bulb, always thinking about saving and ecology.